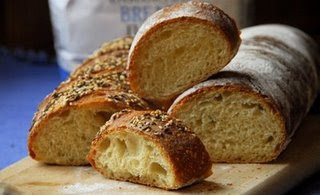 Thanks to all the wonderful fabulous gorgeous bloggers who became Bread Baking Buddies with us this month for the Pane Francese. You guys rock! Jude of Apple Pie, Patis, and Pâté. 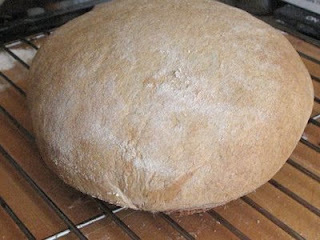 Yikes, as hard as I try, I just CAN'T get one of Rita's photos of her fantastic bread to upload. My apologies, but please visit her blog! Singing Horse from The Peaceable Kingdom. If I have made any errors or missed anyone, please email me at iliketocook AT shaw DOT ca. People, I nearly fell out of my chair when I saw what the March challenge for the Daring Bakers. Lasagna. I KNOW! CAN YOU BELIEVE IT? How much fun is that???? An absolutely brilliant choice. There are 3 parts to the dish - homemade spinach pasta, bechemel sauce, and ragu. Our hosts were kind enough to allow for variations, but I thought the dish sounded so perfect as written, my changes were minimal. When I was in my early 20's living alone in my teeny Calgary apartment I used to make pasta from scratch on a regular basis. I had forgotten how simple and fun pasta from scratch is. This was my first time making spinach pasta, but it won't be my last. Look at that color! This was a simple lasagna, and different than any I've made or eaten before. Minimal sauce and cheese. No veggies. No cottage cheese. Just delicious noodles, heavenly bechemel sauce, and decadent ragu with a sprinkle of parmesan. Speaking of heavenly bechemel, this was the easiest part of the recipe. The meat ragu recipe as provided called for 5 meats. 5! I cut it down to 3 - sausage, proscuitto, and beef we ground at home. There is minimal tomato, which is something new to me, and it also contained milk, another new meat sauce ingredient (to me). The sauce took eleventy billion hours. Ok, 3 or so. 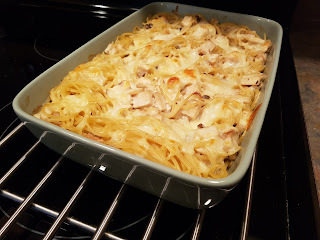 To put it together, we briefly cooked the noodles, then layered them with the 2 sauces and a little cheese. We got 6 layers. Then bake. And fall in loooooove. Oh my. There are no words to describle how fabulous this lasagna is. Seriously. The end. 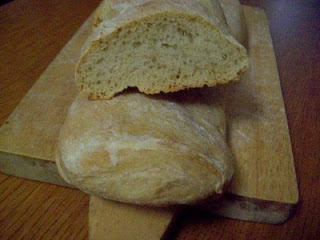 A huuuuuuge thank you to Mary, Melinda and Enza for being Daring with their choice of recipe this month. It is so exciting to see a challenge like this for the group, and I hope we'll see more like it! 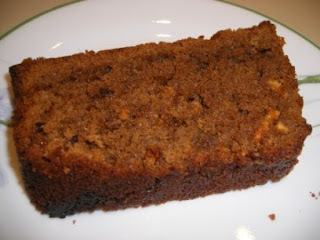 Please check out the recipe at one our of hosts blogs. 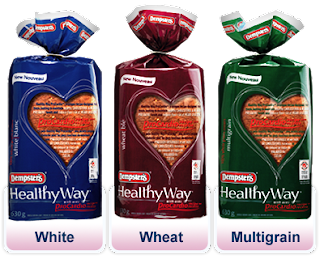 The lovely PR people associated with the new Dempsters bread were glad to hear that my family and I enjoyed the new Healthy Way with Pro Cardio recipe bread, and have sent me some Free Bread Coupons to give away! If you'd like to try the new Dempsters Healthy Way products and live in Canada, send me an email with "Healthy Way Giveaway" in the subject line. 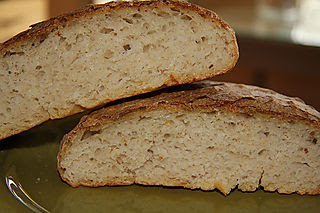 Please include your answer to this question - What is the greatest thing since sliced bread? The deadline for the giveaway is midnight Saturday March 28. I titled this one Juicy because - wait for it - this book is FULL of juice and smoothie recipes. What it doesn't have is a table of contents! I'll have to remedy that next weekend. Mmmmmm, I'd forgotten all about this pineapple recipe. Must make soon. I really like cornbread and this book has a Cooking Light recipe for it. And a vegan recipe for it. And 2 other vegetarian ones. I like cornbread. Sweet and sour meatballs. Soba noodle salad. Enchilada casserole. I had to pick a juice recipe to try. In my kitchen were some apples, grapes and a juicer. Perfect for the Apple and Green Grape Juice from Canadian Living. Juice 3 granny smith apples, 1 cup of green grapes, and 1 thin wedge of lemon, no rind. This is supposed to make 4 servings but Scott and I greedily drank it down in minutes. If you did split this into 4 servings, you'd get 64 calories, no fiber, no cholesterol, and 10% of your vitamin C. I love nutritional info with recipes. And then I found a second recipe in the book that continued on the Juicy theme - Welsh Rarebit. But different from others that I've eaten and made before. This one has no cheese sauce, only melted cheese and also has a luscious layer of mango chutney. Yum! I made this for weekend breakfast. I upped the mango chutney - 1 teaspoon per bread slice is simply not enough! - and didn't measure the cheese. This what good, but if you're like me, a dish like this has to be eaten quickly. I hate melted cheddar after it cools, all flabby and greasy. Like some people I know. Hee! Next week, book 7. A recipe from a blogger, and one from Jamie Oliver. I can't believe it's been more than 3 years since I was introduced to Mashed Cauliflower (I called it pureed back then but Scott calls it mash now), and it's still a favorite side dish of ours. I got this from a dieting friend who made it because it was better for her than mashed potatos but with a similar taste and texture. And it really is great. Today I am still as surprised as I was 3 years ago that Scott loves it as much as he does. You are not going to fool anyone into thinking it's potatos, so don't try. Just embrace it for what it is, a fantastic easy side dish. Core your cauliflower and slice/chop into pieces. 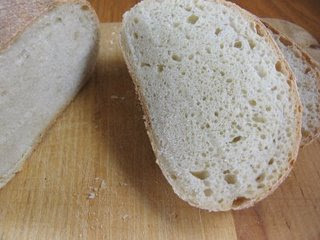 Place in a steamer, cover and steam until tender, about 20 minutes. When the cauliflower is tender, scoop it out of the pot into your food processor. Add some of the reserved water from cooking, some salt and pepper, and puree. You want to make this smooth - no lumps. Turn off the machine, scrape down the sides and add some more water if needed. I used to add olive oil or milk, but now I usually add only water, or sometimes veg broth if I have any leftover. Puree again and when the cauliflower is a good consistency, add a spoon or two of butter and more salt and pepper if you need it. Scoop into a bowl and serve. Depending on what we are eating with this, sometimes I'll add some cheese on top. This is so tasty! So easy! So good for you! I know some people say to stay away from "white food" but Cauliflower is low in calories and fat, and high in Vitamin C and fiber. So do as we do and occasionally say NO to mashed potatos and YES to mashed cauliflower! 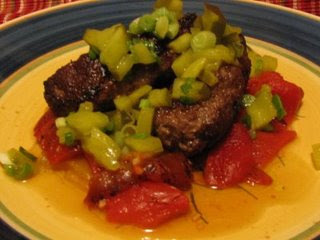 Well, here we are for the 37th and last roundup for the Weekend Cookbook Challenge. I started the challenge as a solo project back in 2005 as a way to cook out of more books in my cookbook collection. After cooking out of 5 of my previously unused cookbooks the WCC was turned into an event that everyone could take part it. And now 37 months and 37 themes later, this is goodbye. A sweet post and a lovely plate of Seared Tuna with Lime Crust are sent to the final WCC by the wonderful Deb of Kahakai Kitchen. Thanks Deb! Judy from Judy's Gross Eats has come by to say so long and with her she brings photos of her gorgeous kitchen and some delicious Macaroni and Cheese. 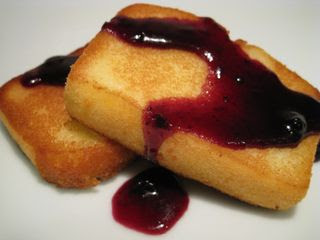 Ok, everyone stay where you are and don't all go running into the kitchen at once to make Pages, Pucks and Pantry and Mrs. L's Pan Fried Angel Food Cake. Um, yum. I don't want to alarm anyone, but I think Hell may have frozen over.......Lis sent in a post for WCC! Oh just teasing. But seriously, her Romanian Garlicky Ground Meat Sausages (Carnatzlach) with Sour Pickle Vinaigrette and Roasted Red Peppers looks stunning, and she says nice things about me, she's awesome! 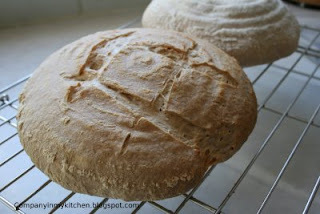 My beautiful friend Mary from The Sour Dough has written a lovely post for the end of WCC. The WCC is actually how Mary and I "met", for which I will forever be grateful. 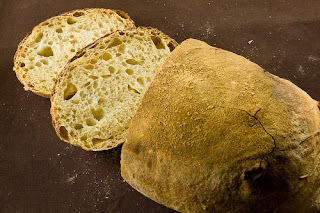 Her Cappuccino White Chocolate Chunk Bread looks good, but is not nearly as sweet as her. My friend Ruth from Once Upon a Feast has made what she calls her most romantic dinner for the final WCC - Bife a Poruguesa. Thank you Ruth! Jenny from All Things Edible share these pretty Caramel Dumplings, a recipe from her Grandmother. I could never thank Michelle from Je Mange la Ville enough for her participation over the 3 years of WCC. 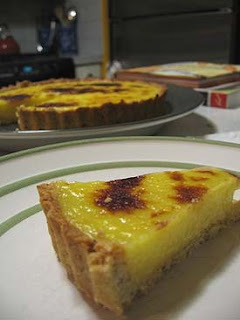 Her beautiful Tarte au Citron is a lovely goodbye. I am working on finding the perfect Bloody Mary. It's a tough job, but I'm up to the challenge. 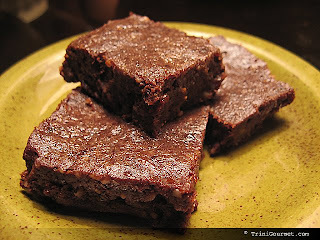 You are for sure going to want to check out these raw vegan brownies from TriniGourmet! They look great. Another one from me - Setas Salteadas Con Jamon Y Allioli. If you like mushrooms and ham, you'll want to try this. 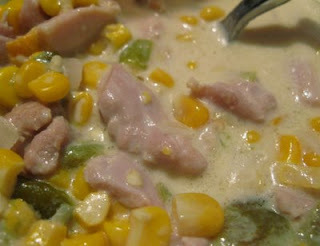 This Mexican Chicken and Corn Chowder is well loved by Cynthia and her family at Diary of a Glad Housewife. Mmmmmm, corn. 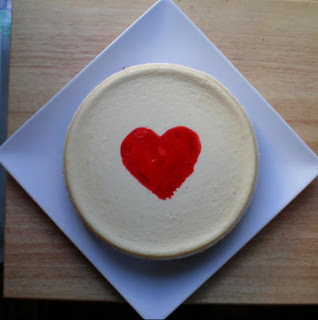 LadyConcierge sends us this simply lovely Valentine's Day Cheesecake. Thanks LC! Joanne at Eats Well With Others posted this crazy colorful Caramelized Sweet Potato, Garlic, and Rosemary Macaroni and Cheese and Roasted Asparagus with Parmesan. Yum! Here's my Pulled Pork from Rachel Ray magazine. I've got a freezer full of shredded pork now. What could be better? A thousand thank yous to everyone who ever posted for WCC, hosted, suggested ideas, and came by to check out our efforts. 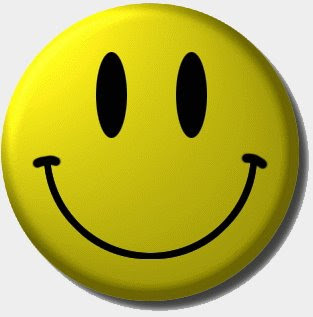 I so appreciate all you have done and thanks for joining me over the past few years for Weekend Cookbook Challenge. It was so much fun. I miss it already.